I love opportunities to help my students learn a little bit about the jobs provide us with products that keep our community in the spotlight. The Dairy Industry helps our own community as we have several cheese factories as well as Dairy farms even just a mile down the road. The dairy cow is our state Domestic animal. 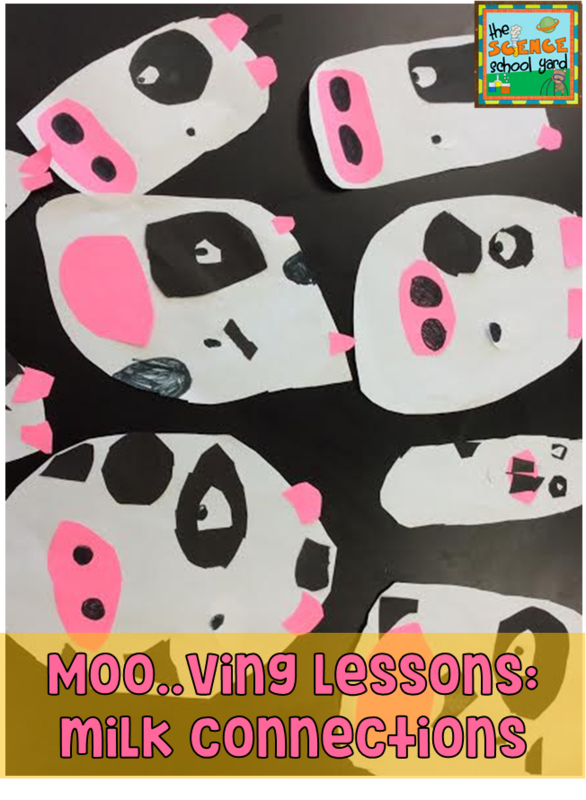 We see them as we drive in the country…However even if you are NOT a dairy state this lesson is a great opportunity for you to do an easy and quick lesson on how butter is made. Literally, all you need is a jar with a lid, whipping cream, and a bit of salt! Get your kiddos in a circle and shake. Two minutes later or two times around the circle and you have yourself butter! I love all of the other connections we can make. 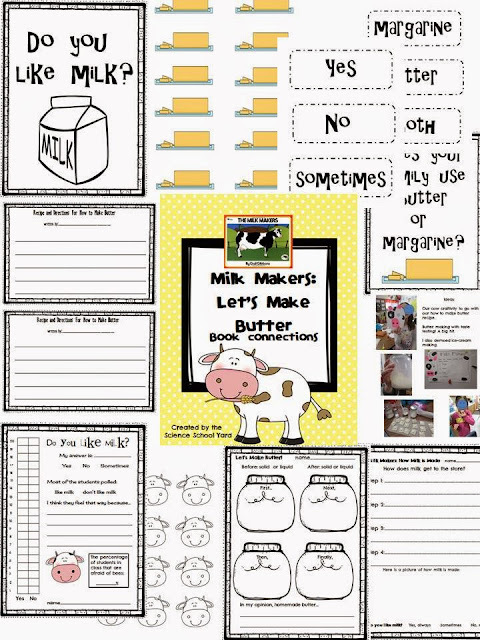 We use math by creating a survey and vote on if we like butter or not. Seriously…it is so tasty and after the kids get a taste on a cracker…they are hooked! 2. I ask them if they know how milk is produced. I then proceed to share with them that we will be learning about milk makers. We make mammal connections, but we discuss specifically that we will learn about dairy cows. 3. I show an old Reading Rainbow that reads Milk Maker by Gail Gibbons, but it also does a great job adding lots of great details about cows. 4. I then share with them how we will make butter. 5. 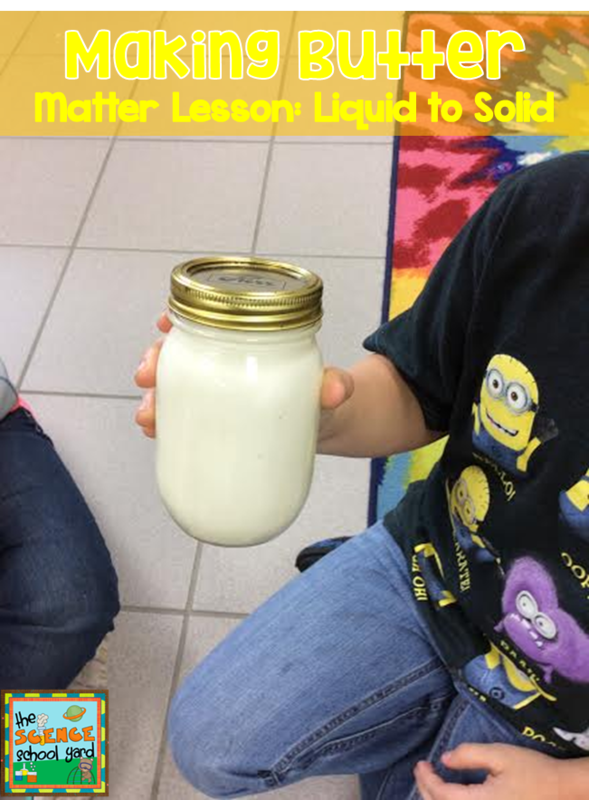 We make butter and then before we taste test we write the process of how to make butter. A bit of inspiration in order to taste test…work first then eat! 6. When we are through taste testing we make a dairy cow art project. 7. We follow it up with our math connection graphing! 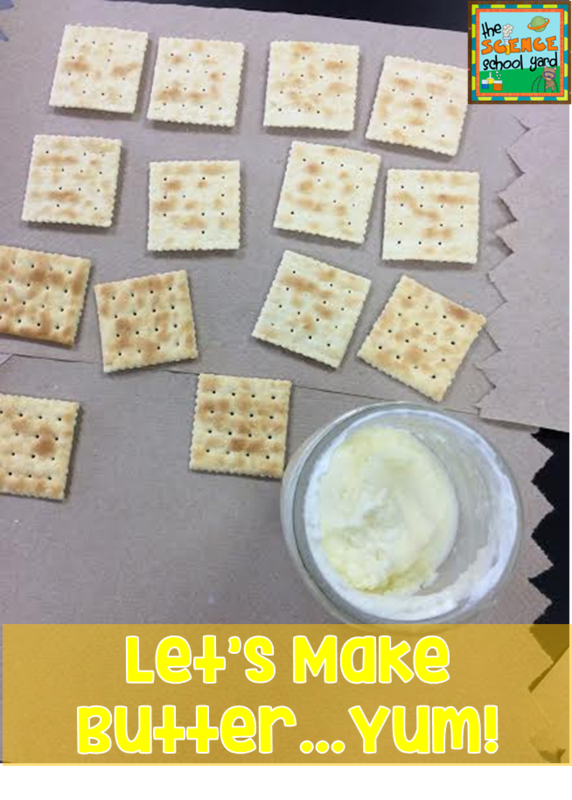 If you are interested in making butter in your room and need some help…check out my Milk Maker Let’s Make Butter Pack! Help butter them up with fun and engaging activities that can teach a bigger concept...Changes in Matter! What a great lesson idea! I've made butter with students before, but I have never thought to connect that to the change from a liquid to a solid in science. What a great idea!!! Thanks.